 Syravagn typ DB "Rudolf Koepp & Co"
Syravagn typ DB "Rudolf Koepp & Co"
By buying this product you can collect up to 269 bonuspoints. Syravagn typ DB 'Rudolf Koepp & Co', längd över buffertar 55 mm, epok III. 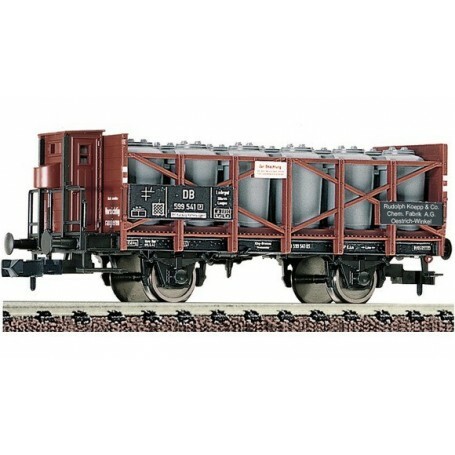 The acid tank wagons had 12 ceramic pots for the transport of acid liquids.